Diving is a fairly new hobby for me, but it’s one I’ve come to love pretty quickly. There’s something magical about seeing the world beneath the waves, feeling like you’re flying and coming face-to-face with creatures you’ve only dreamed of. I know that sounds a bit corny, but it really is like nothing you’ve ever experienced. Travelling to Cairns for a few days, I was keen to get stuck into some diving while I was there. After all, the Great Barrier Reef is considered one of the best dive locations in Oz. Home to more than 1500 species of fish, hundreds of hard and soft corals, as well as sharks, rays and molluscs, the reef is extraordinary. Being a Barrier Reef newbie, I wasn’t sure which dive operator to go with. The dive company you choose can have a huge effect on your experience at the reef, so I was sure to do my research beforehand. I finally settled on two operators, Silver Swift and Passions of Paradise, so I could compare the different experiences. 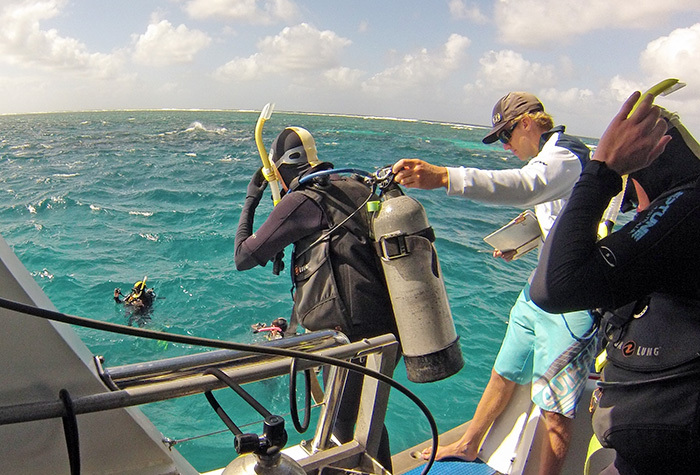 Besides, what’s better than one dive trip? Two dive trips! Swift: As a certified diver, I was able to do three dives during the trip to Flynn’s Reef. 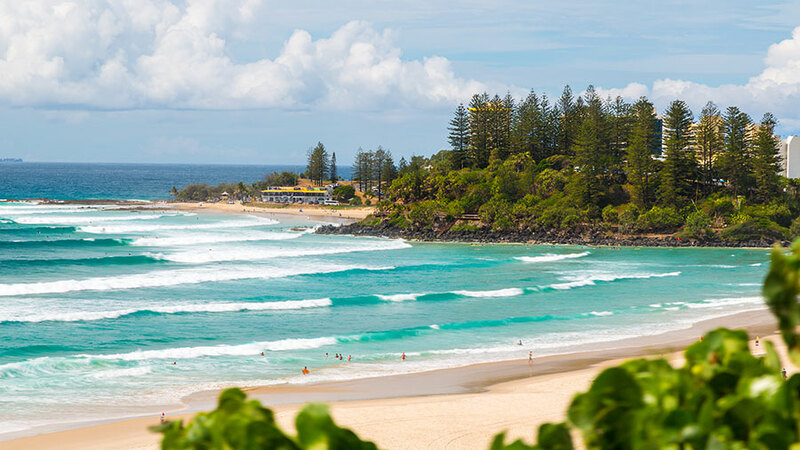 Tracey’s Bommie, Tennis Court and the Coral Gardens were our three locations, and they each had a fantastic array of fish and unspoiled corals. Species ranged from a large Maori Wrasse that posed for photos on our first descent down to humbugs and clown fish. We spotted a few sharks, plus a couple of large green turtles. Passions: Michaelmas Cay was the first location we went to. Waters were only a few metres deep, so it was primarily a snorkelling location. The cay itself was a bird sanctuary, so if you swam over you could only walk on a small section. 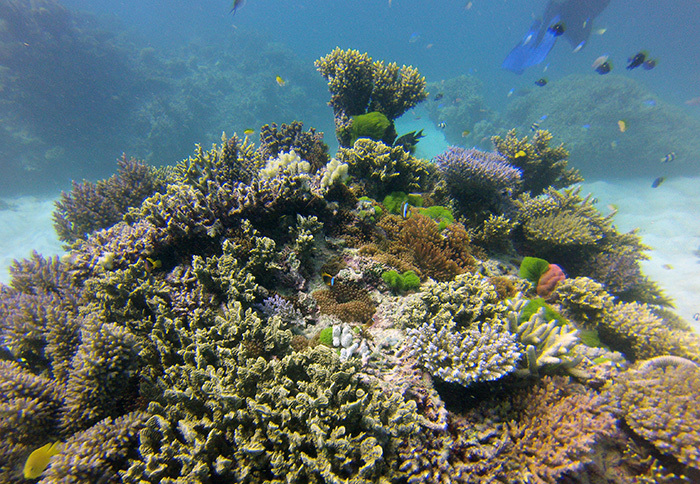 There was a huge variety of colourful fish, and coral was shallow enough to see up close. Visibility wasn’t great, but with depths like this it didn’t matter. Paradise Reef, the second location we went to, was much deeper and had a larger selection of fish. If you go, I recommend snorkelling at the first site and diving at the second. Swift: The set up was very professional, and the speed that they managed to get such a large number of divers in and out of the water was incredible. The interior cabin had front facing seats in the middle, much like a Sydney ferry, and booths on the side. Décor was simple, but well maintained. Silver Swift lived up to its name, and was the quicker of the two vessels out to the reef. There was also free Wi-Fi. Passions: The vessel recently had a makeover, so it was in great condition. You could walk around the whole catamaran, so there was more connection with outside. On the way out they pulled open the awnings and let the fresh air in. There was a central bar area, and plenty of space to lie down on the journey out/in. Passions of Paradise. Photo: supplied. Swift: I’d say Silver Swift is aimed more at your serious divers, people who are a bit more experienced and want to do as many dives as they can on the reef. The average age was around 30 or so, and most people tended to keep to themselves. The crew did a great job at injecting a little personality into the trip, especially Marcos. Passions: The crowd on Passions of Paradise was very different, mostly frequented by backpackers. Most of the guests were there for snorkelling and sightseeing, with only a few of us opting to go for a dive. The atmosphere was very chilled, with the smooth sounds of Jack Johnson playing as we made our way out to sea. 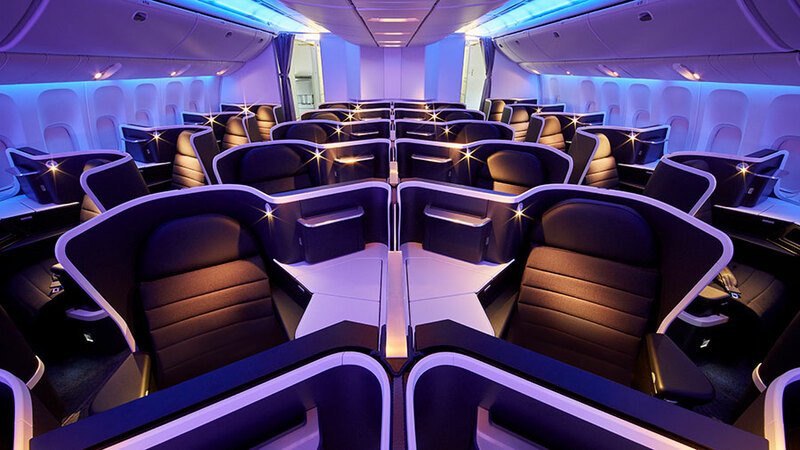 At one point almost every passenger was asleep in the sun or on the lounges inside. It was bliss. Swift: It was a well-oiled machine, but staff still had plenty of personality. 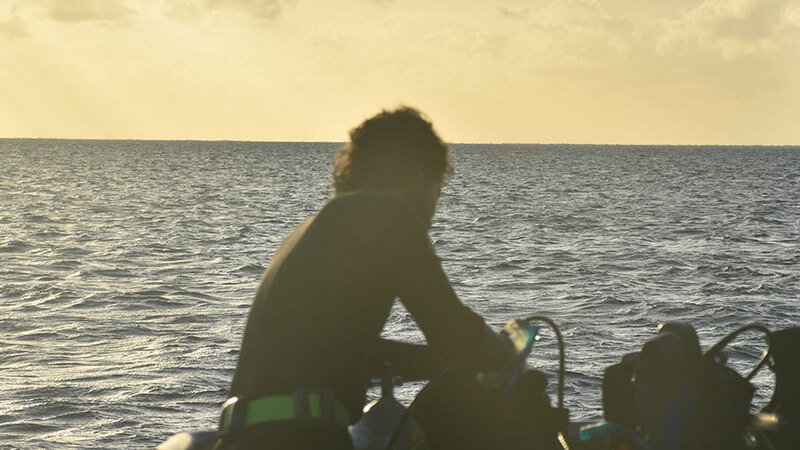 Marcos, our dive guide, highlighted points of interest at each site before setting off. This was a great way to give us an idea of what to look out for. The dive sites were quite diverse, so we didn’t just see the same fish/coral multiple times in a row. Conditions were particularly rough on the day I went, so I recommend buying medicated seasickness tablets before you go. Forget the natural ones, they don’t work. Passions: Staff were very knowledgeable of the locations, and the on-board marine biologist Bec gave some greater insights into the species on the reef on the return journey. I found Passions to be a really relaxing experience. With only two stops, we didn’t feel in a hurry to get in and out of the water. Joe the larrikin dive guide helped entertain the weary passengers on the return trip, making it seem to go quicker. 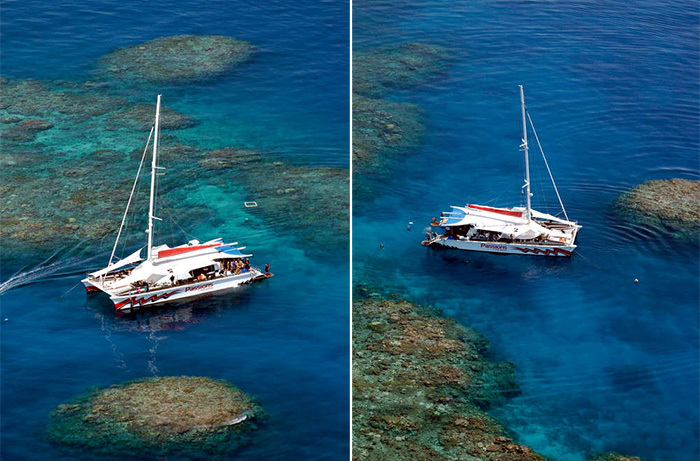 Cairns has a huge range of dive boats taking passengers out to the reef, but I reckon I found the two best options. They both cater to different markets. If you were after a trip that’s all about the diving, getting you to the reef quickly and allowing you to spend more time underwater, I’d go with Silver Swift. As they go to deeper dive sites, the diversity of offer is much better. It’s a brilliant operation, fast and efficient. If you’re looking for something a bit more laid back, a casual day out where diving isn’t necessarily your main objective, I’d go with Passions of Paradise. 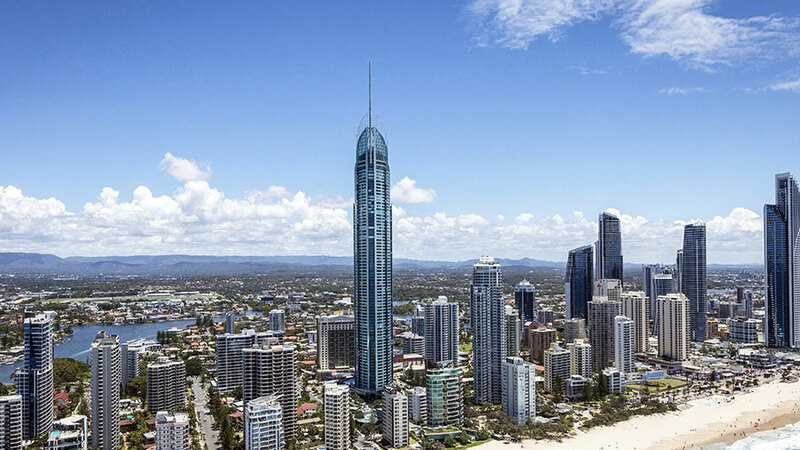 Is SkyPoint The Best View on the Gold Coast?